Can you light a fire? - Begin Prepping Now!! Do You have a BBQ Lighter? 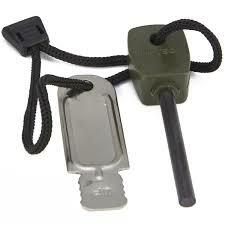 You may think that asking if you have a BBQ lighter is silly on a prepper site, but it’s not. It may not be the Bear Grylls’ way of lighting a fire, but they are fast,easy, and readily available. They have saved my eyebrows on many occasions. When you are lighting a portable propane heater,these help you reach into the pilot light area easily. They can be purchased from hardware stores, the grocery store or online. I recommend that you always have more than one way to get a fire going. Matches, flint and steel as well as commercially sold starters are all good choices. Firesticks are a great backup in rain and in a hurry. These lighters have a finite amount of fuel. Some of these lighters say that they are refillable, but I have tried to refill several. They either won’t take fuel or the striker goes bad and you are stuck with a full tank and no way to use it. I just say they are disposable and forget it…whatever the package says. The only other bad thing about them is they don’t work well in the cold. The fluid doesn’t do its thing well below freezing . So if you need to get heat in the middle of winter and this is your only source of getting fire, it could be hit or miss. If you find yourself in this situation, put the lighter under your shirt on your belly. Let it warm up for a few minutes. It will work then. These lighters are amazing around the house. They are great for grilling when the clicker dies on your grill. They work great for candles in jars or ones that have burned down in. I love them for lighting pilot lights on furnaces. They are great for campfires and lanterns. If you are stocking up on them for prepping, I have stored them for years without any obvious loss of ability. Just be careful where you store them since they do have fuel in them. Also remember in a grid down situation, you could be without power for months. It is a good idea to have other more low tech ways to start fire such a a flint and steel. These will last you forever. If you have to use firesticks to get through a short emergency, make sure you are learning how to get a fire going the old way. That way you are not cold again when you bbq lighter quits lighting. I was not aware or even thought about the fact that there was so much to know about a lighter. Talk about the things humans take for granted. 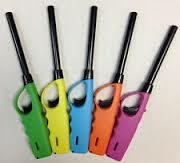 Just in case of a zombie apocalypse, it is good to have some lighters around (just in case Rick needs one).